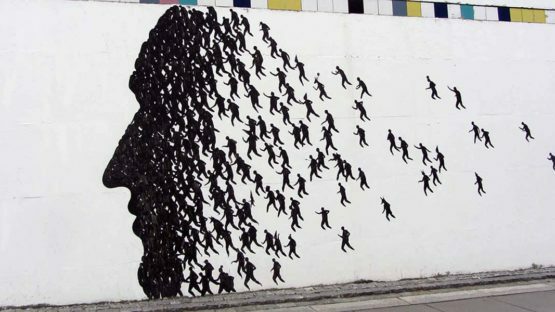 David de la Mano is a Spanish contemporary artist best known for his stunning murals often depicting silhouettes, trees and other monochromatic imagery. His large-scale, black and white pieces provoke reactions among the viewers and encourage their emotions and ideas through a minimalist aesthetic. The artist not only observes others and their social or anti-social behaviour, but explores every corner of social behaviour in his practice. 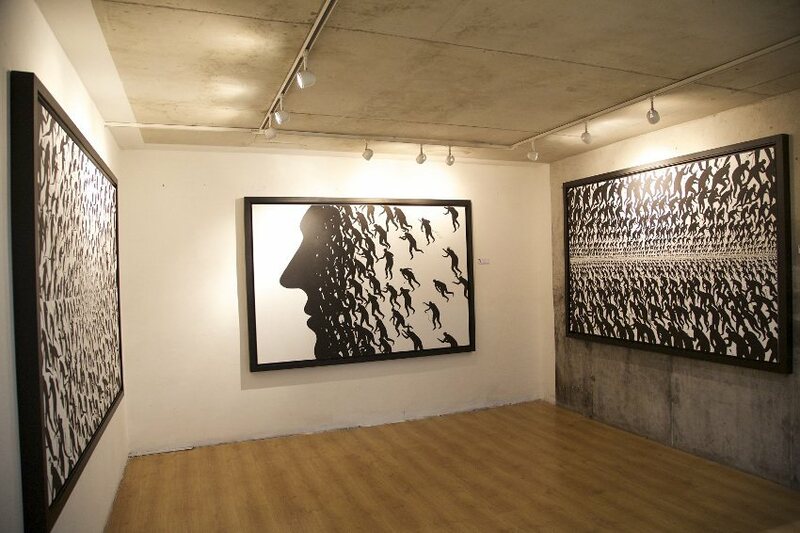 He uses silhouettes of man, woman, or the masses as narrative metaphors. Through these figures, he gives poetic visions of the human condition in society and the ways human perceive the world. Born in 1975 in the city of Salamanca in northwestern Spain he obtained a degree in Fine Art from the University of Salamanca. Majoring in stone carving and sculpture studies, David went on to earn his PhD in Public Art at the University of Valencia. Since the early 1990s he has developed a number of projects including sculpture, installation and land art. For the past eight years he has focused mostly on murals and other public art projects. During his career he has collaborated with many notable artists including Pablo S. Herrero and E1000. 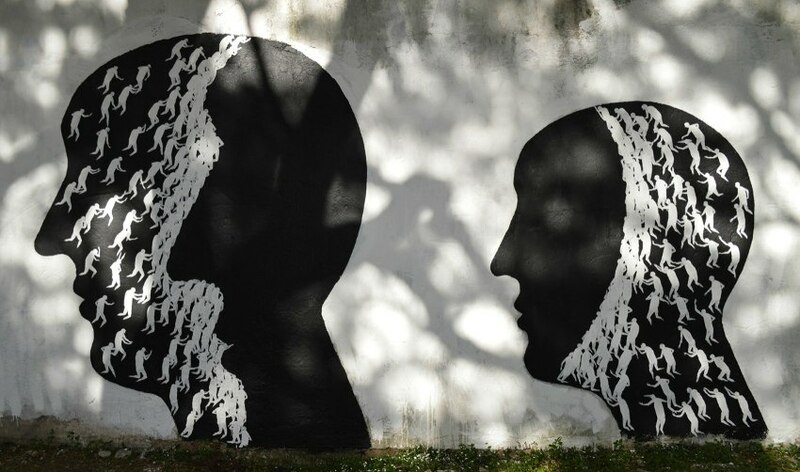 With his childhood friend, the artist Pablo S. Herrero he founded Movimiento Senora with the aim to paint in peripheral and abandoned marginal areas. The work by the Spanish artist has been featured in numerous art magazines and websites. He has participated in many festivals, most recently the Empty Walls Festival in Cardiff, Wales and the Memorie Urbane Street Art Festival in Gaeta, Italy. His work has been included in many individual and collective exhibitions. His stirring, complex pieces can be found throughout his native Spain, as well as across the world in countries throughout Europe, North and South America, and beyond. He is represented by Hang Up Gallery in London, UK. In July 2015 his work was included in group show titled Dog Days in the London-located gallery. The artist is currently based in Uruguay.